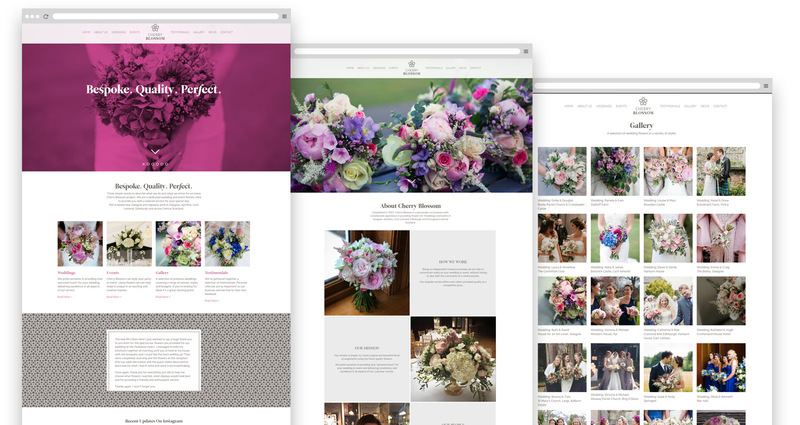 WordPress website for Glasgow-based wedding florist. Established in 2007, Cherry Blossom is a personally run business with considerable experience in providing flowers for Weddings and Events in Glasgow, Ayrshire, Loch Lomond, Edinburgh and throughout central Scotland. Following a brand refresh by Glasgow-based design studio Rydo, Cherry Blossom needed to bring their website up to date. 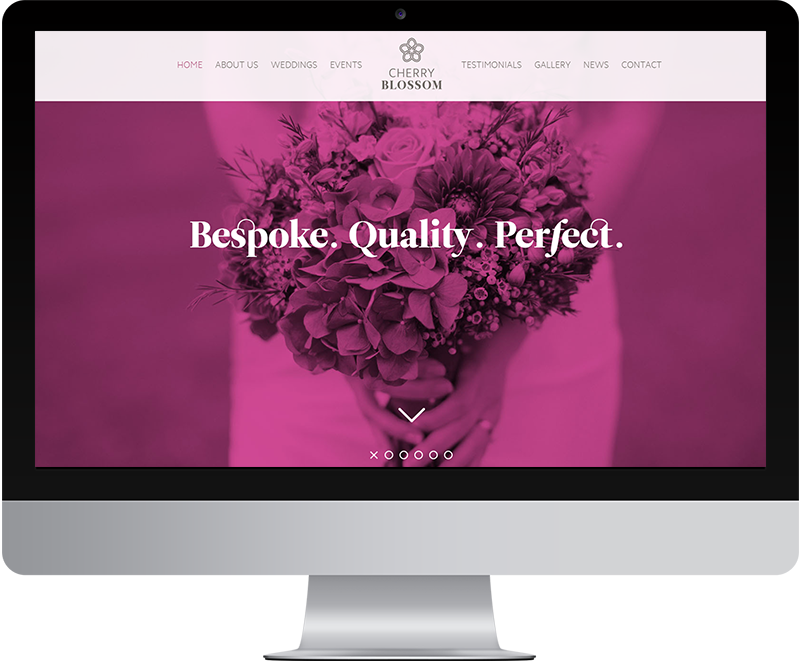 Their old website no longer represented the professional wedding florist service provided and did not reflect their customers aspirations. We created a new WordPress website, that looks great, is easy to update and we hope drives business for some years to come.